Many older churches have stained glass windows that should be inspected. Just like any other building or piece of history, stained glass windows can endure the test of time if taken care of properly. Most stained glass church windows need to be restored every 80-100 years. The restoration process is the only real way to maintain the timeless beauty of stained glass for generations to come. Due to age, stained glass windows begin to show many signs of deterioration including broken lead and solder joints, crumbling cement grouting, and the buckling and bowing of stained glass panels. When these signs are evident the only way to effectively eliminate them is to completely disassemble the panels and rebuild them with new lead and cement grouting. 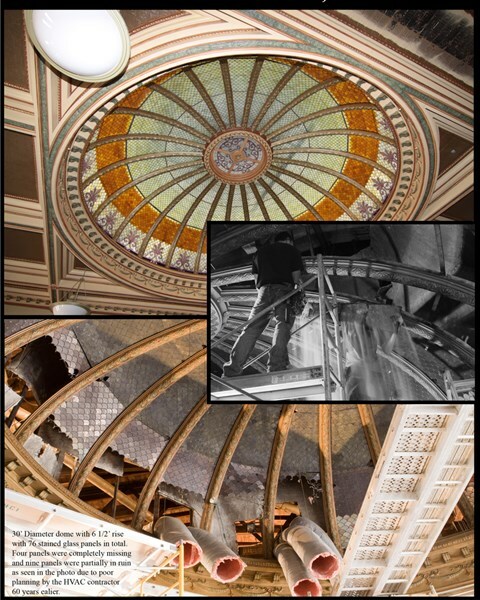 This process will preserve the historic glass and restore its structure to like new conditions. 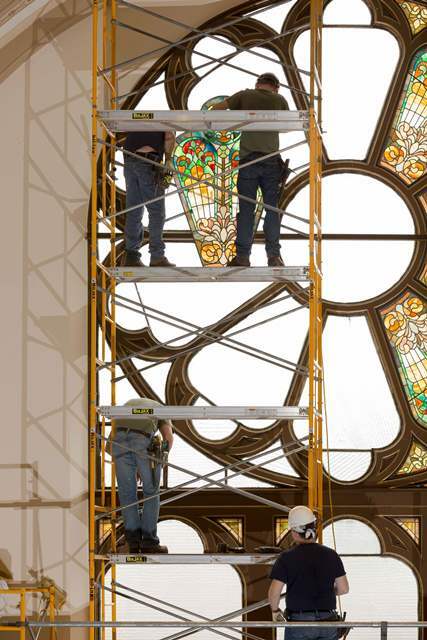 The majority of churches in Ohio, Indiana, and Michigan are 80-100 years old and need stained glass restoration before excessive damage is incurred. If your church needs inspected you can contact Window Creations LLC and we will send a qualified individual to your location to inspect and advise you on your window project. In many restoration projects there can arise a need to replace a large number of identically painted pieces. At such a time we employ a technique known as silk-screening to ensure a perfect match. In some cases as many as a hundred or more may need to be duplicated. Often times these individual pieces of glass will need to be painted and fired several times to get all of the different details and colors.